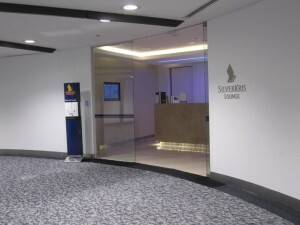 This was in the international terminal. 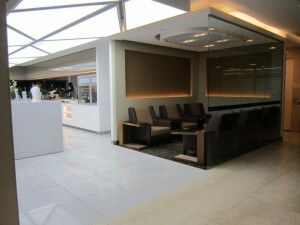 It was brightly lit along with the rest of the airport. The lounge was very empty because it was a very late flight out of MEL to Singapore. 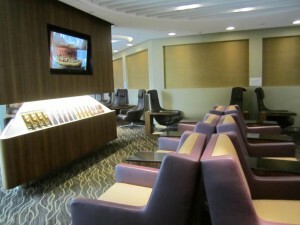 There are some limited beverage options in the business class portion of the lounge. 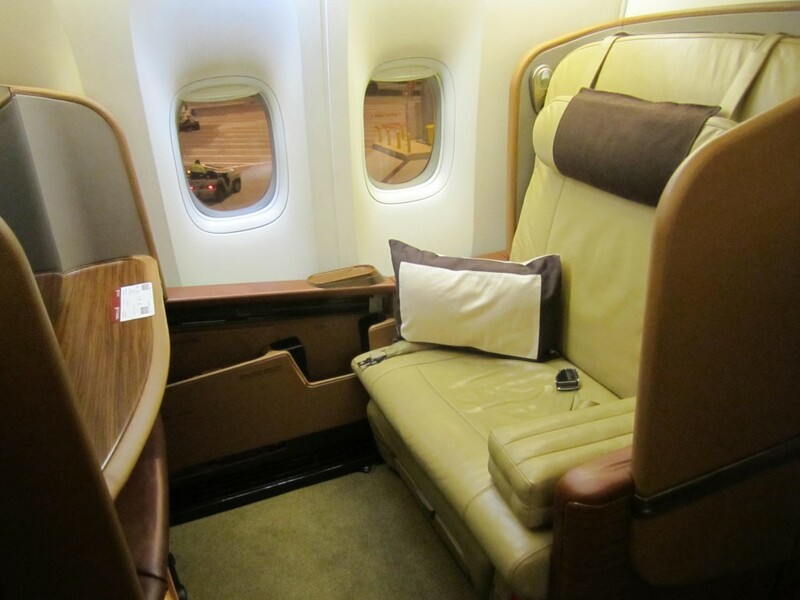 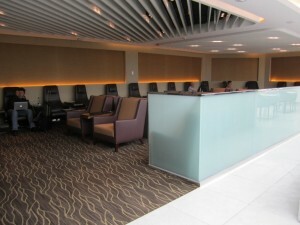 Once you walk past the business class area, you get to the first class area. There was significantly more food in the first class area than the business class area, which only provides small snacks and beverages. 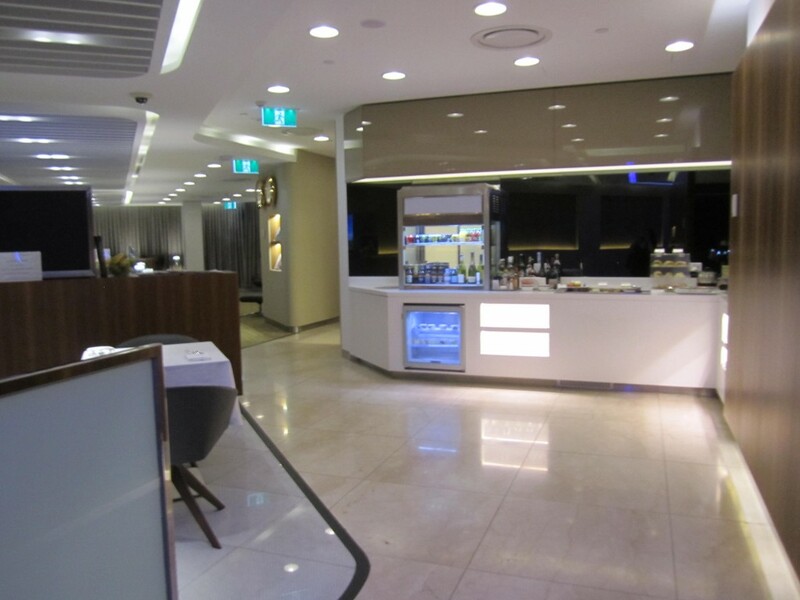 The entire lounge was fairly empty because it was about 10pm in Melbourne on a Sunday. 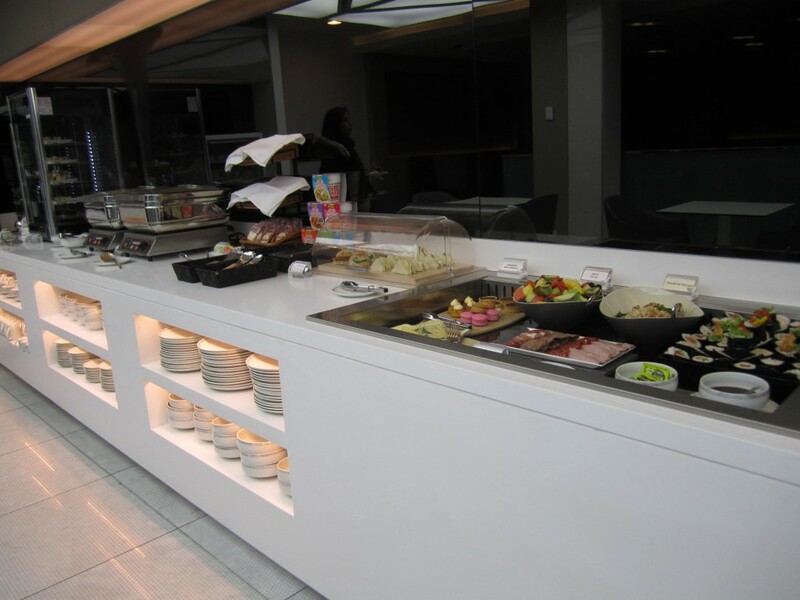 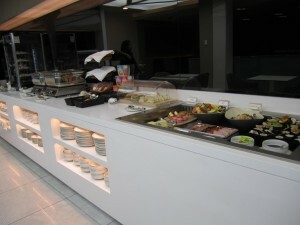 Below shows the food available in the lounge. 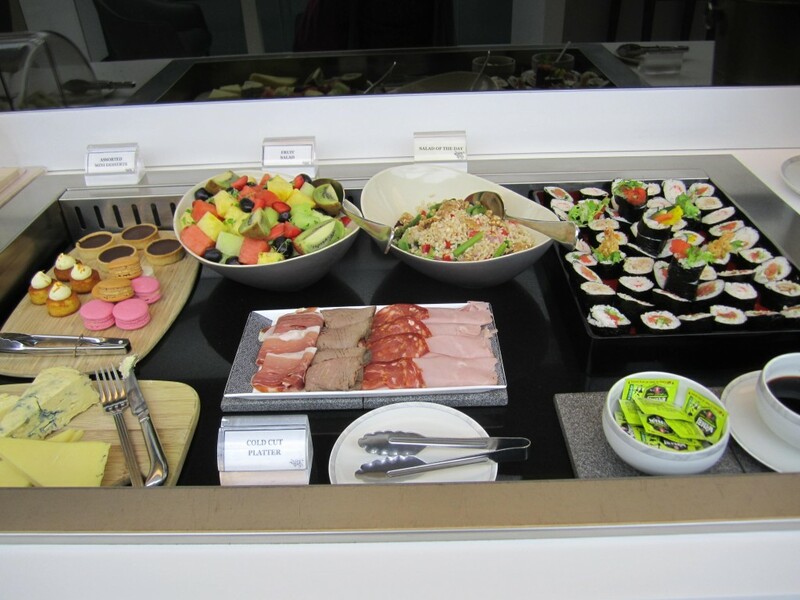 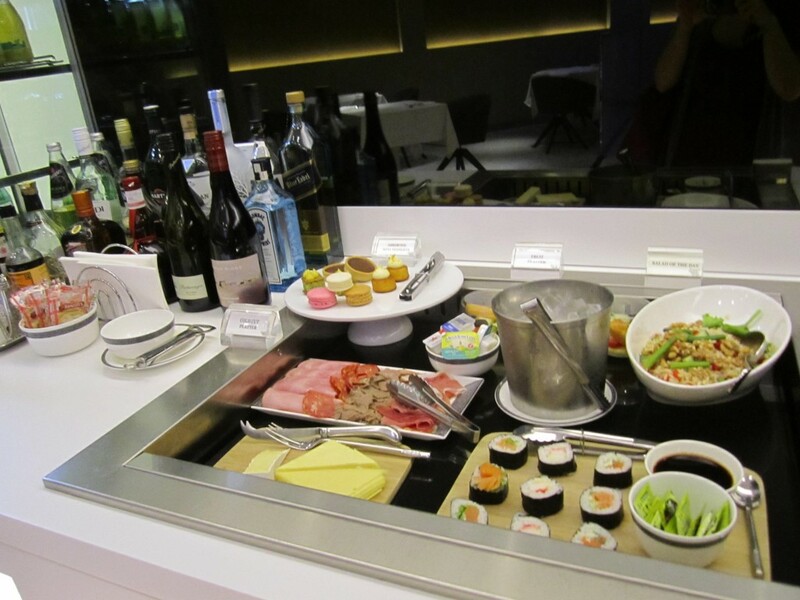 There was a mixture of sushi, fruit and salad, ham and other cold cuts, along with hot food like fried noodles, penne pasta and dim sum in the lounge. 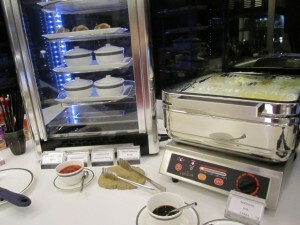 Next to the cold cuts and cheese was some desert. 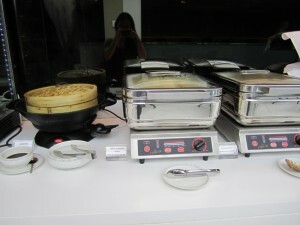 In the heated cabinet was some soup and next to it was noodles for Laksa that is also offered in the lounge. 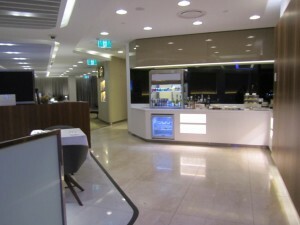 There was also a limited stocked bar with a bottle of Johnny Walker Blue! 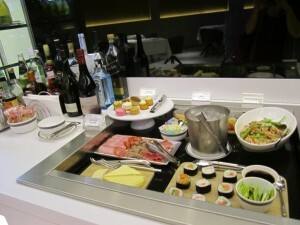 There was also other liquors and limited wine selection next to the sushi. 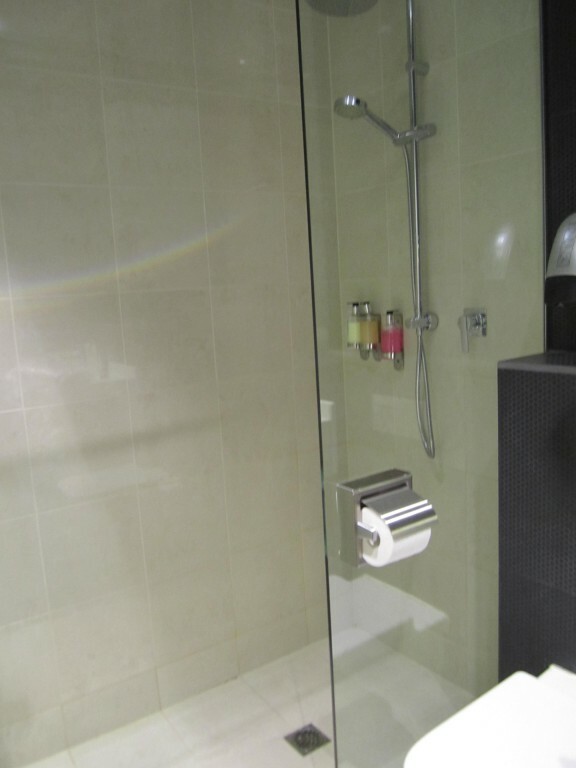 Below are some pictures of their shower facilities in the lounge. As it was pretty late in the evening, there was no line for the shower. 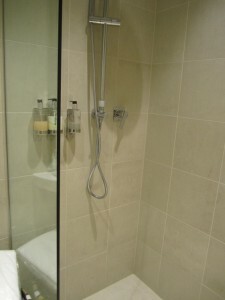 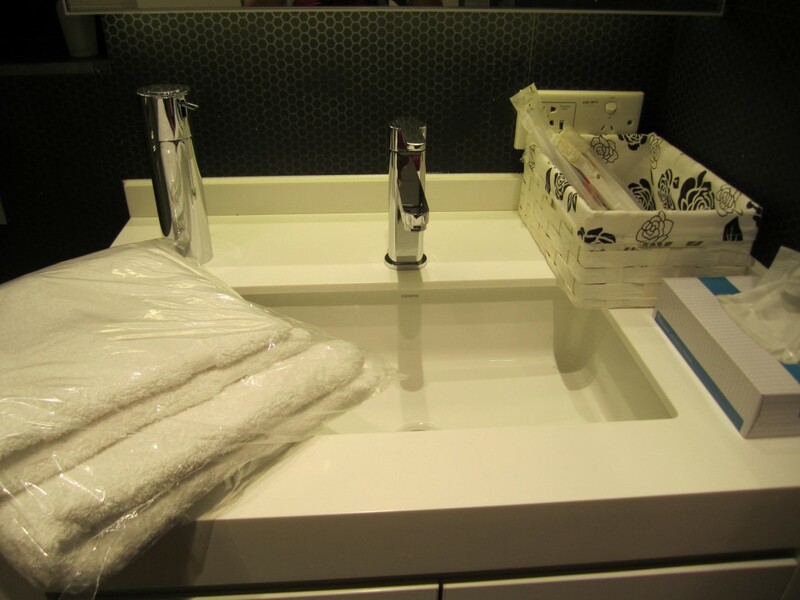 They offer some simple amenities in the shower stall, including toothbrushes and outlets for a shaver or blow dryer. 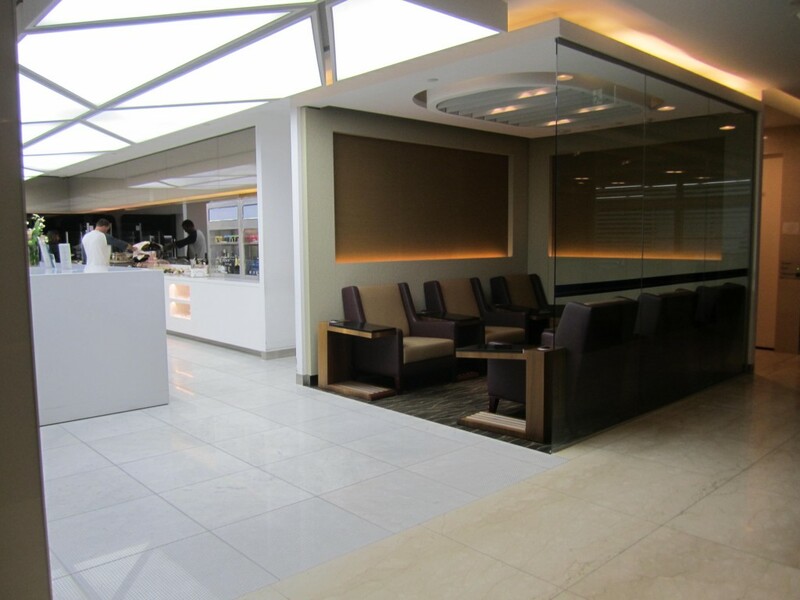 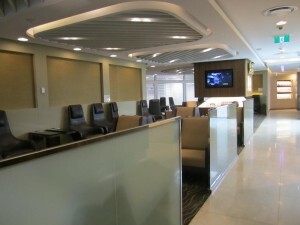 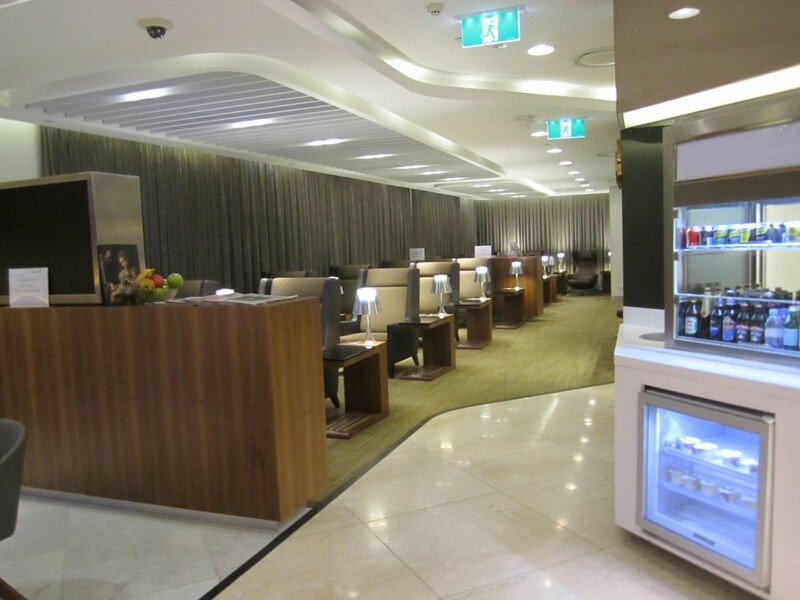 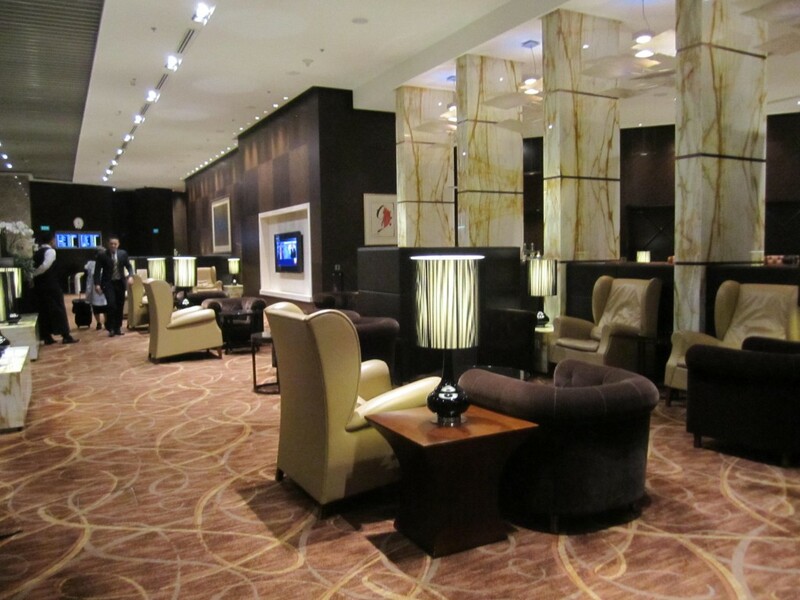 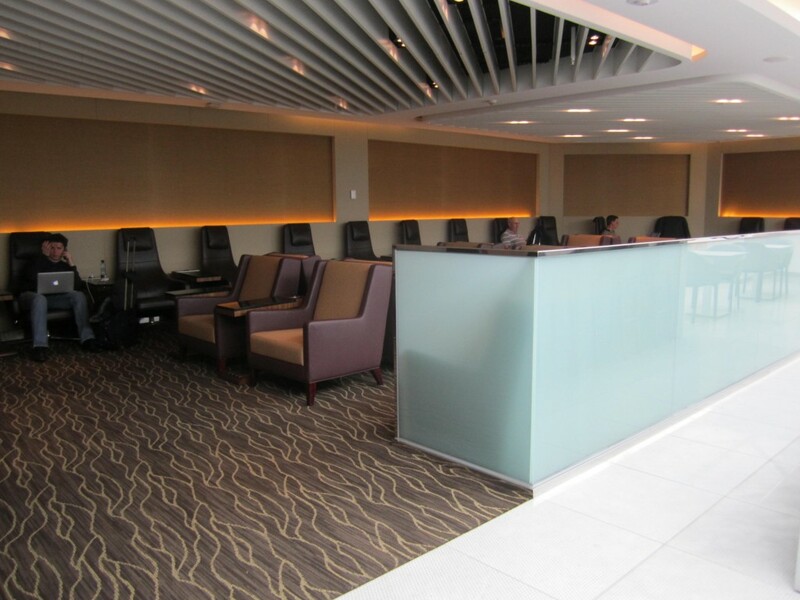 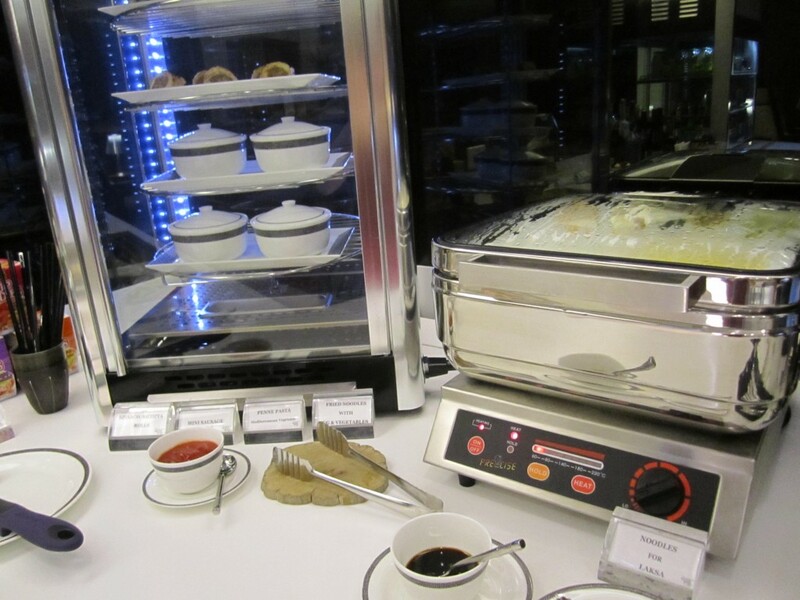 Be the first to comment on "Star Alliance First and Business Lounge Review at MEL"